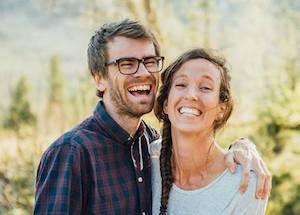 We are a Norwegian-American couple that has lived in Bergen and have been apart of Veienbibelskole (Veien Bible) school and our home church, Jesusfellesskapet (Jesus Fellowship) for the past 6 years. Eimund has a Bachelor in Theology and Leadership, and has been leading the local outreach ministry in Jesus Fellowship the last two years, and teaching and leading the subject of evangelism at Veien Bible school last year. He has a big passion for running, skiing and traveling. Cassie is originally from Oregon, on the west cost of the states. She came to Norway originally to complete her 3rd year of Bethel School of Supernatural ministry by being an intern under Andreas Fjellvang at Nordic School in Levanger. For 5 years after that she has been apart of the staff in Veien Bibelskole Bergen. She is now a wedding/ lifestyle photographer and a student. She loves being outside, running and traveling. We are part of a team of 8 that has moved up to Mo i Rana in Northern Norway to serve under Andreas and Tonje Fjellvang in a church called Familiekirka ( Family church). We have a passion for reaching out to the locals in town and the region around Mo I Rana with the good news of Jesus as well as inspiring the members of the church to live everyday life boldy and in love with Jesus . We will have monthly small mission trips to small towns in the region around Mo i Rana to reach out to unreached people and to encourage the Christians that are there.